Guided By Voices just made a big announcement on its Facebook page that could signal the end of the band (the band which reunited in 2010-11 and has just completed a new album). I know they say they are not breaking up, but what "personal reasons" would keep them from appearing other than a break-up? "Unfortunately Guided By Voices are canceling their appearances at Primavera and ATP/I'll Be Your Mirror, due to personal reasons. The band apologizes for any inconvenience and disappointment, and thanks Primavera, ATP and the fans for their longterm support. 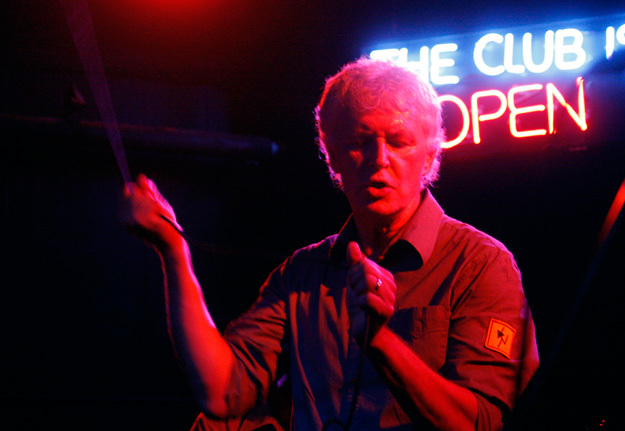 Guided by Voices have not split up and continue to work on new material together. In addition to the album release of Let's Go Eat the Factory for January, the band are at work on another album, Class Clown Spots A UFO, which will be released in May. Robert Pollard will also be releasing a solo album, Mouseman Cloud in March." Whether or not they are staying together as a band, I think it's great that GbV got back together with the "classic lineup" thing, and that they have gotten some new material together. They're fun, they're fascinating, and I think they're fantastic!